Sanchez, 46, ousted conservative premier Mariano Rajoy last Friday in a parliamentary no-confidence vote, sparked by corruption convictions against former officials of Rajoy’s Popular Party (PP), which had governed for six years. The Socialists, however, have a parliamentary minority and needed the support from Podemos as well as the Basque and Catalan nationalist lawmakers. On Friday as Sanchez and his cabinet were sworn into office, Podemos chief Pablo Iglesias stressed that Spain is no longer a two-party country. “He who has the arrogance to think he can govern alone after having the worst electoral result in the history of his party, will surely not be up to the job,” Iglesias warned Sanchez. The Socialists only hold 84 seats in Spain’s 350-seat legislature, the smallest parliamentary presence of any Spanish government since the return to democracy in the 1970s. 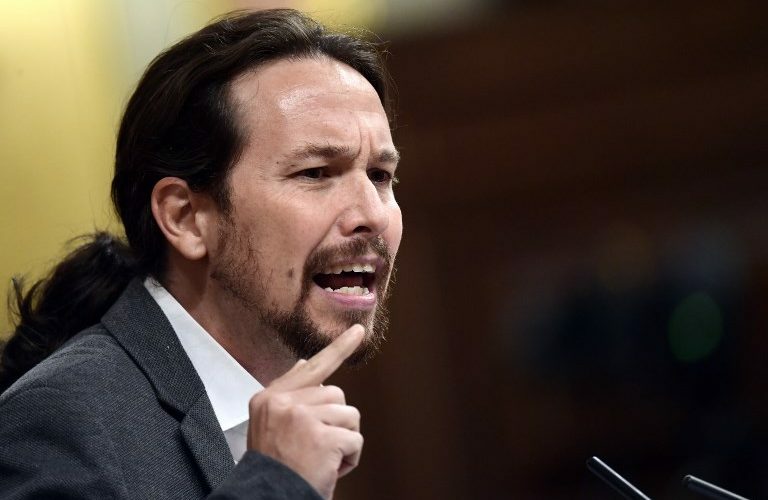 “The Spain that evicted Rajoy, is not only the five million Socialist Party voters, it’s also the five million who voted for Podemos and its allies and the numerous Catalan and Basque voters who made it possible,” Iglesias said. Iglesias on Thursday had said during a TV interview that trying to govern with such a small minority “would probably be an ordeal” for Sanchez. The far-left leader, who had sought in vain for Podemos members to be part of the Sanchez government, however also called on Friday for dialogue with the Socialists.